The ES10-10ES & ES12-12ES pallet stacker from EP Equipment covers all your light duty application in the warehouse and production. 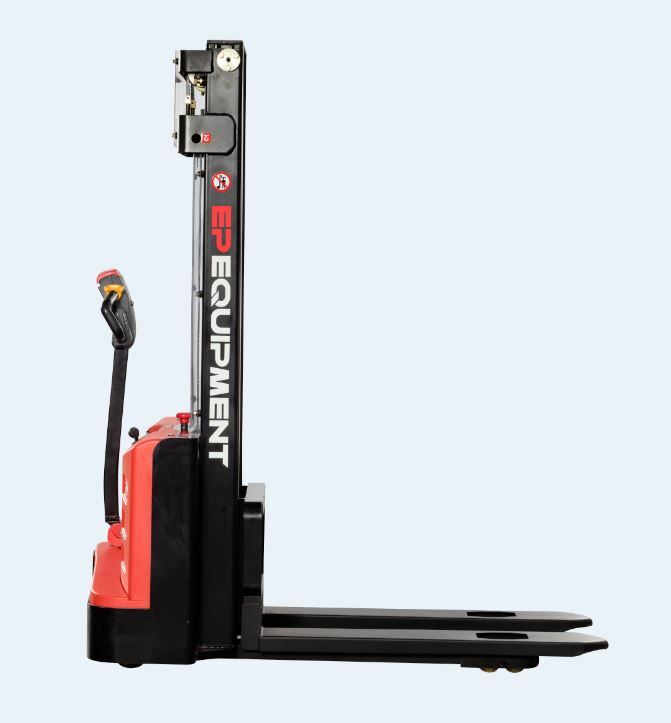 Available with a lifting height of up to 4000mm with 1200KG capacity, gel battery and an integrated charger this truck offers you the flexibility you expect from your warehouse truck. In small warehouses, production or retail environment, ES10-10ES & ES12-12ES from EP Equipment is the entry level stacker you need to optimise your daily working routine. Due to its very small dimension, this stacker plays out its strengths in limited spaces.